For our New Year's Eve party, I cooked this Crab Bee Hoon cos' I found lovely fresh crabs in the supermarket while doing my last minute shopping. 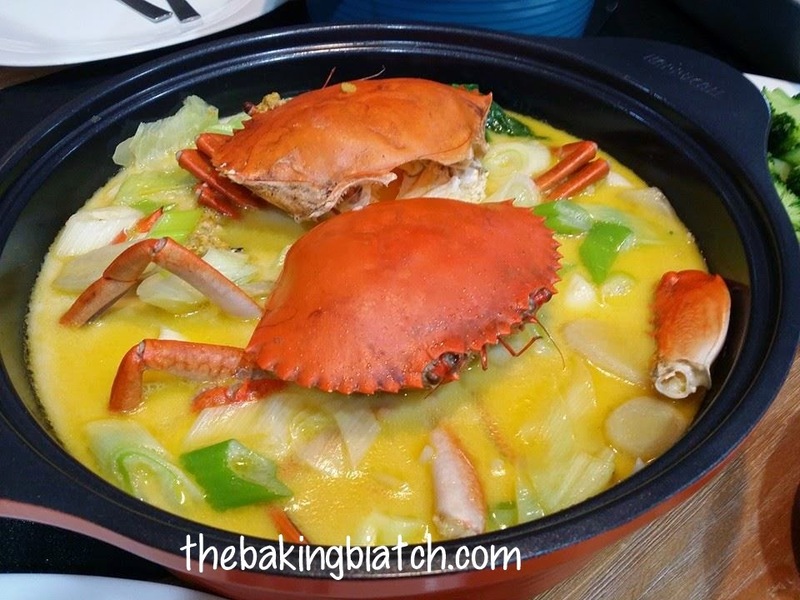 I simply LOVE crabs with roe (: The broth was lovely and rich... and of course, the crabs were awesome. This dish is almost too cheap to prepare as compared to paying lots of $$ in restaurants for it! This recipe was cooked in a hurry so I failed to document the image steps. But fret not, I'll do so when I cook this soon! (: I took the inspiration from Rasa Malaysia. 1. Boil the beehoon. Rinse with cold water to remove starch (water should run clear). Set aside in serving bowl. 2. In a pot, melt the butter and saute the ginger. 3. Add the chicken stock and water. Bring to a boil. 4. Add the evaporated milk and give it a gentle stir. 5. Add the crab and cook it till it's cooked. Crab would turn red and flesh will be white. 6. Add the bok choy, huadiaojiu, white pepper and scallions. Bring to a quick boil. 7. Pour the soup over the thick beehoon and serve.